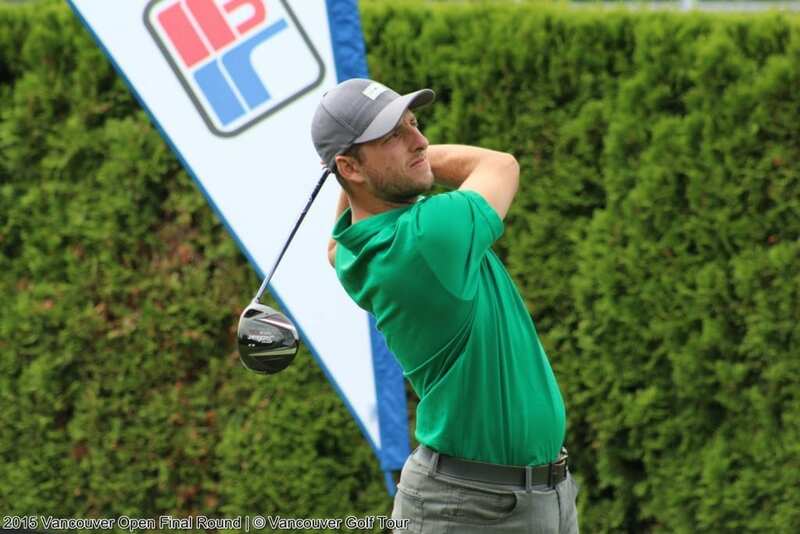 Twenty eight year old Chilliwack Pro Brad Clapp birdied his 54th hole with an up and down from the back of the green to win his first Vancouver Open title by 2 shots over a trio of players Ryan Williams, Riley Wheeldon and Thomas Hay. 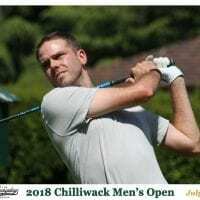 Clapp carded rounds of 69, 66 and 66 for an 11-under par total at Langley’s Pagoda Ridge Golf Course (round 1) and Ledgeview Golf Club in Abbotsford (rounds 2 & 3). Starting 3 shots behind the leaders going into the final round had one thinking it was going to be a 2 man race at Ledgeview. At least it was going to take some impressive golf from one of the chasers to catch Williams and Wheeldon who were at 10-under par. 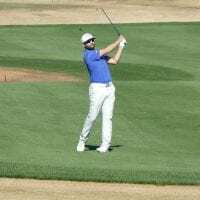 But after an opening 9 holes of 34 on Saturday, and some erratic play from his playing partners Wheeldon and Williams, Clapp had closed the 3-shot gap on Williams and Wheeldon by the time he hit the 10th hole. In fact, he had it to within 2 of Wheeldon thru 5 and had tied with Williams after Williams made a triple bogey on the 3rd hole. But Clapp’s share of the lead was short lived when he bogeyed 11 and Williams rattled off 5 birdies in his next 7 holes. Williams lead now by 2 shots thru 11 holes, but the tides would turn again when Williams bogeyed the 15th and 16th holes with 3-putts. This would drop him back to -9 for the tournament. Meanwhile, Wheeldon had slipped back to -8 for the tourney after a 1-over par front nine, and would need some exceptional play coming in to have any chance at the title he has been bridesmaid at the last 2 years. And he did just that! First making a great birdie on the par 3, 14th to get to within 2 of the lead. Then he made some solid pars on 15 and 16 to give himself a shot coming up the last two holes. When all 3 players in the final group made pars on the short 17th par 3, it meant that Wheeldon would most likely need an eagle to tie Clapp and Williams a birdie to have any chance at a playoff. And that was only if Clapp didn’t birdie the reachable par 5 18th hole. After a poor drive down the left by Williams, he was forced to punch out short of the green and rely on his wedge game if he was going to make birdie and have any chance at tying Clapp. He hit the wedge crisply, but it took a hop forward instead of spinning back, and he would be left with a 30 foot birdie try. Meanwhile, Clapp had gone for the green in 2 after purposely driving across onto the 16th fairway as so many players do (much to the chagrin of his parents, who later on said they had wished he would have laid up). He struck his fairway wood well, and almost too well as it hit back of the green and hopped well over it, before getting a most gratuitous bounce backwards towards the green. His ball would end just off the back of the green. It was Wheeldon who was next to put the pressure on Clapp, hitting 2 beautiful shots onto the uphill 18th green to 20 feet for his eagle that would put him to 10-under par and momentarily in a tie with Clapp. But in good fashion, Clapp took advantage of his bounce and hit a beauty of a chip down the hill to 3 feet for his birdie which would get him to 11-under par if he could convert. Williams was next to putt down the same slope as Clapp’s chip, so he must have got a great look at the line. But as his attempt slipped just by the hole and he would finish at -9 for the tournament and tied for 2nd with Thomas Hay, who rallied late with 3 straight birdies to close. Now it was Wheeldon’s turn. He stroked his 20 foot putt beautifully, and the ball rolled across the slope of the 18th green and down to the cup before lipping-out at the last second! It was not to be for the 3rd straight year! He tapped in for his birdie and finished -9 and a tie for 2nd place with both Hay and Williams. And so Clapp now had 2 putts to navigate his 3-footer for the victory, and he buried it for the 2-shot win! No playoff needed this year, unlike in 2011 when Clapp closed a 7-shot margin with now PGA TOUR player Adam Hadwin to force a playoff. It was Hadwin’s day in 2011, but this day was Clapps, who was later quoted as saying it was a trophy he really wanted to get his name on after losing in the playoff to Hadwin. Well he has it now! Well done Clapper! Clapp not only gets his name etched beside the likes of Adam Hadwin, Bryn Parry and Phil Jonas, but he also takes home a nice $7,500 cheque that will assure he has no money worries when he heads back out on PGA TOUR Canada for the final 5 events. This is huge for his confidence, and couldn’t have come at a better time. “I really want to chase down one of those 5 WEB.COM Tour cards” stated Clapp after his round. 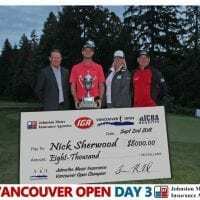 “This is a step in the right direction for sure after a start on PGA TOUR Canada that has been a lot slower than I had anticipated this year. I’m looking forward to the final 5 events on the Mackenzie Tour for sure”. Clapp and a dozen of his Mackenzie Tour PGA Tour Canada friends who played in the Van Open will head out to Ottawa next week for a 5-week stretch. Wheeldon, Williams and Hay each earned just over $3,200 for their runner-up finishes out of the $30,000 total Pro purse..
Scott Landreth seems to like it out west. At least for golf that is. 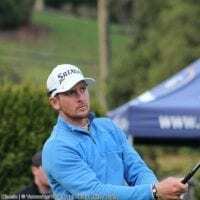 Originally from Stratford, Ontario, Landreth moved to Vancouver and recently joined Richmond Country Club. It didn’t take him long to acclimatize himself to the west coast tournament scene, jumping in with both feet at this year’s Vancouver Open. Landreth carded opening rounds of 70, 68 to open up a 6-shot lead on the nearest Amateur in the field, 2009 Low Amateur Kris Yardley. But he did make the race to the finish line a bit too close for comfort, making a string of bogeys and finding himself at 5-over for the day and only a couple of shots clear of Vancouver’s Scott Bennett with just 3 to play. But after a birdie on the 16th hole, Landreth had a bit of breathing room coming down the final 2 holes, and ended up taking the title with a 3-shot margin over Bennett. Landreth earned himself a $1,000 CLEVELAND / SRIXON Gift Credit for his exceptional play, as did Overall Low Net Champion Jessie Castillo who narrowly edged out Dave Woodsford by 1 shot for the Net title. All Flight Gross and Net winners took home some hardware as well as some sweet BUSHNELL Rangefinders valued close to $500/each. The top 5 Gross and Net in Flight A and B received prizing while in the larger Championship Flight field, the top 7 Gross and Net scores received premier prizing thanks to our valued partners BUSHNELL, CLEVELAND/SRIXON, TRAVIS MATHEW and MARKETPLACE IGA. VGT Would like to extend its gratitude to both Vancouver Open golf course hosts Pagoda Ridge for the Charity Pro-am and Round 1 and Ledgeview Golf Club for the final 2 rounds. Both golf courses were in exceptional shape thanks to their Head Superintendents Reed Groshart (Pagoda) and Terry Riffin (Ledgeview). Congratulations to you and your crews for putting your 2 golf courses in wonderful shape. The players certainly were impressed! Special thanks to all of the Vancouver Open volunteers who came out to help hole spot, conduct pace of play timing, scoring and set-up and take-down. You were an integral part of the success of this year’s Vancouver Open, particularly with the pace of play improvements we saw at the event thanks to the added spotting volunteers! Well done! Continued thanks to our VGT Team members who went the extra mile this week, digging in on some very long hours at this event. You are the amazing at what you do and I couldn’t imagine how or what we would do without each and every one of you! And finally, we could not run tournaments like the Vancouver Open without sponsors. 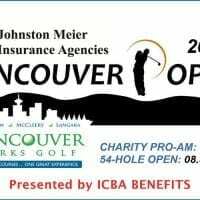 We thank each and every one of you for your support, from our Title Sponsor Johnston Meier Insurance Agencies and Presenting Sponsors Blume Wellness and CNA Canada to all of our partner sponsors at the Pro-am (thank-you Pagoda Ridge), your continued support of this event is greatly appreciated! I hope you know your value to the development of so many great players out here on the west coast! Thank-you! Plans are in the works for next year’s Vancouver Open. We hope to release details of the host venue(s) and confirming the dates for another exceptional event which by chance will be our 10th Annual Vancouver Open since we re-incarnated the event in 2007.